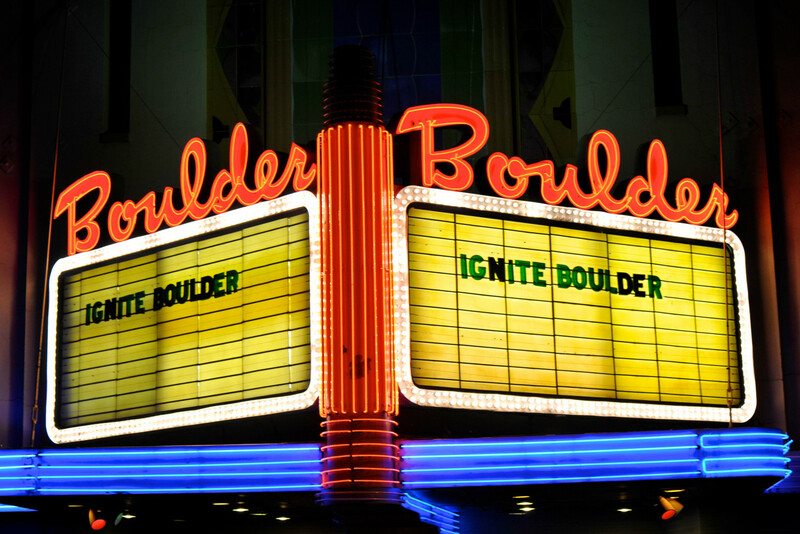 Ignite Boulder is a night of presentations on a variety of topics – with a twist. Each presentation has 20 slides, that automatically advance after 15 seconds. It is a worldwide movement, and Boulder hosts the largest in the world every 2 or 3 months. This event has sold out 28 straight times. You should buy your ticket if they are for sale. Really.